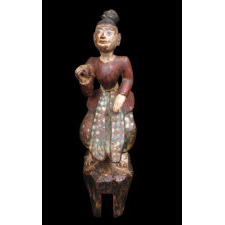 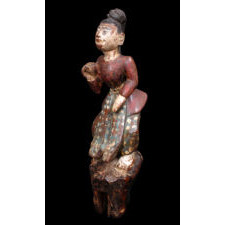 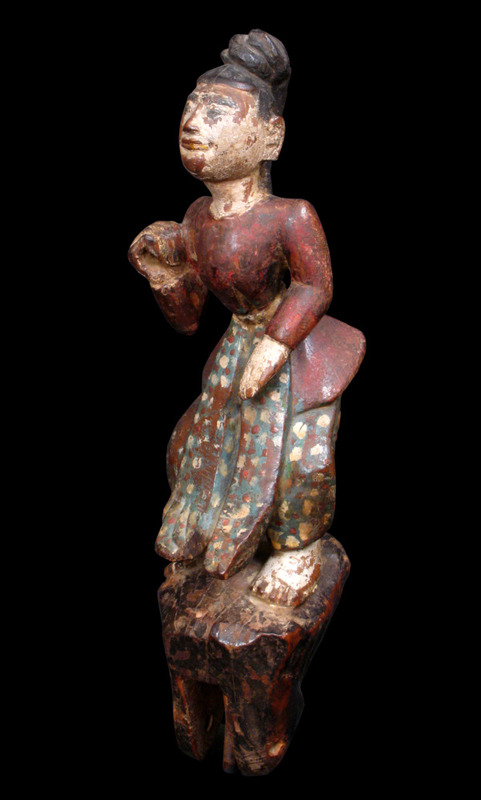 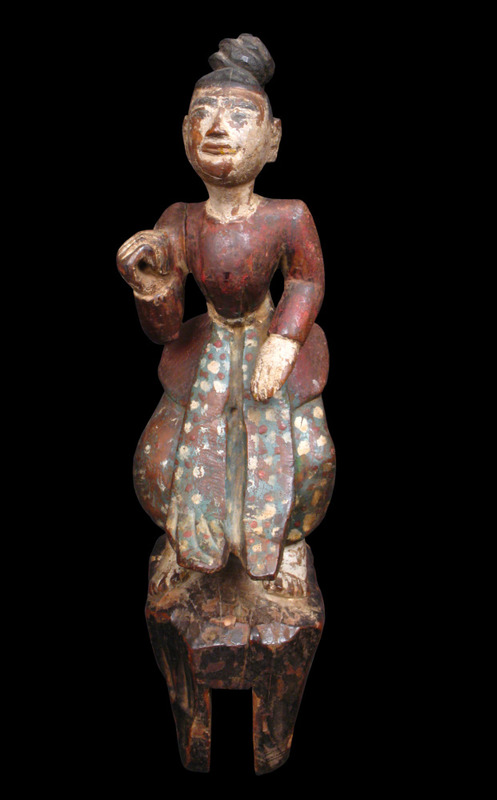 Wood carved polychrome dancing figure with excellent patina and typical wear for the age and usage. 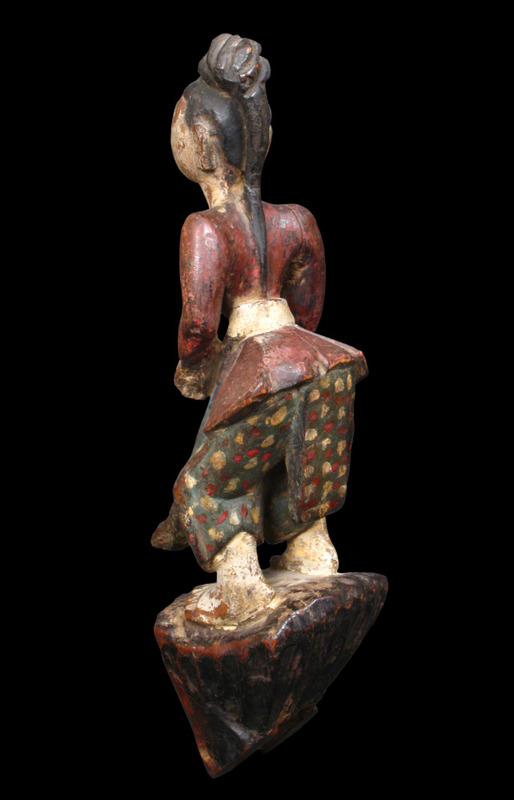 Sculptures were attached between oxen as a protective, identifying emblem. 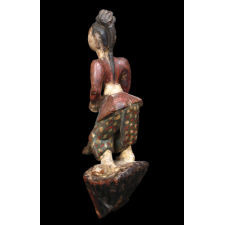 Measurements H: 14" x W:4"